Carraway family and friends may God grant you all with a speedy healing. Sgt.Carraway thank you for your Service to your Country,Community and to your Department. Most of all thank you for your Ultimate Sacrifice in the Line of Duty. My deepest condolences to all the family members of Sergeant Terrence Carraway, as well as to his brothers and sisters the Florence Police Department and Florence Sheriff's Office. May God provide his blessings for the three deputies and their respective families as well as for the entire Carraway family. Sergeant Terrence Carraway is a true hero, and I thank him for his dedicated service to his community as well as to his brother and sister Law Enforcement Officers. May his soul forever rest in peace. Semper Fidelis. We’ll take it from here brother. My 9 year old sitting next to me would like to say: to the family, we love you, you will forever be a part of our family. My thoughts and prayers go out to the families of the police officers who were injured in this shooting and also to the family of Sergeant Terrence Carraway tragically killed in the line of duty. Thank you for your service to our nation and to the community you served so well. Rest in peace. Our thoughts and prayers go out to the family, friends, and coworkers. Rest In Peace my Brother in BLUE. Godspeed and Rest In Peace, we’ve got it from here Brother. May his soul rest in peace and may God continue to protect his family at home and in the line of duty. Thank you for the 30 years of life giving service to the community you served. Rest easy brother. Rest in peace, Sir. Job well done. We have the watch and your 6. Daughter of Chief of Police, shot twice in head in line of duty. RIP Brother and prayers to your family and friends! God Bless! 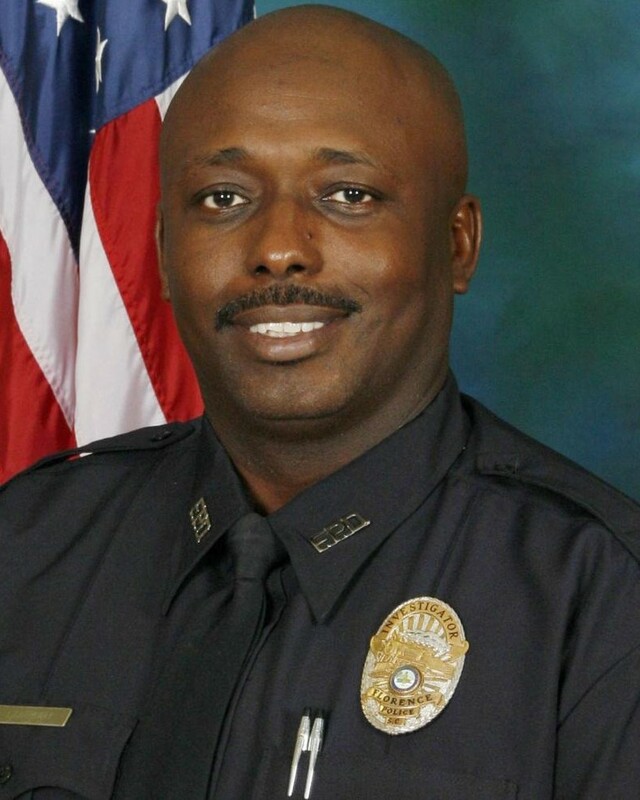 Rest in Peace Officer Carraway. Thank you for your service. My thoughts and Prayers go out to your family, coworkers and friends. I have lifted your family to God every morning for over seven years. I pray that Terrence's life and death will bring glory to God. Thank you so much for your sacrifice. You paid the ultimate price. My prayers are going out to your family. My heart is heavy. Not knowing why someone could be this evil. Sgt Carraway was happy go lucky, and would give his last so that someone less fortunate could have. I lost a friend. A friend of 30 years. His wife loss her husband, her companion, her sooolele mate, forver. His son is now fatherless. But as his ftiend, I am his son's godfather and I vow to fulfill what is promsed. As a former Lt , Sgt, and Field Training Officer, I new Sgt Carta from hie first day oof duty. He will be greatly missed. our heartfelt condolences to the family (blood and blue) and friends of Police Officer Carraway.